I should have had enough of material and material adverse change, given that I discuss materiality in chapter 7 of MSCD, in this law review article, and in this article in the M&A Lawyer. But the topic continued to nag at me, and recently the fog cleared—I realized that my analysis was significantly flawed, and I also figured out how to fix it. Another meaning of material is “significant,” in other words “important enough to merit attention.” This meaning is the vaguer of the two, and could encompass a broader range of significance than the “affects a decision” meaning. This ambiguity would explain why, in my experience, corporate lawyers have a hazy grasp of what they intend when they use the word material. In any given representation, such as Acme’s books and records contain no material inaccuracies, either meaning of material could be intended, and it’s impossible to say which, unless the agreement provides additional guidance. The difference is an important one. A buyer and its counsel might assume that any non-trivial nondisclosure with respect to a given representation containing a material qualifier would be sufficient to render the representation inaccurate. By contrast, a court could well hold that for purposes of that representation material conveys the “affects a decision” meaning. That would result in the buyer’s not being entitled to indemnification for inaccuracy of that representation unless the seller’s nondisclosure happened to meet the high standard associated with that meaning. I’ve previously recommended that to avoid this ambiguity, you should use material only in MAC provisions (with MAC used as a defined term), thereby ensuring that material conveys only the “affects a decision” meaning. I’ve recommended that you find non-vague ways to express other types of significance. But I’ve come to realize that it’s misguided to seek to suppress from an agreement the “significant” meaning of material. 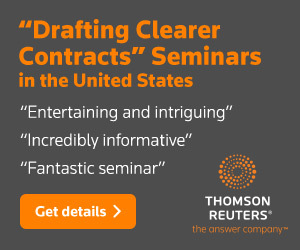 Sometimes you’ll want to express that meaning—it would allow a party to recover damages for a relatively modest representation inaccuracy, as opposed to an inaccuracy of dealbreaker proportions. What’s needed is two different labels for the two meanings of material. That’s why I now propose that you use material to convey the “affects a decision” meaning and use—pregnant pause—non-trivial to convey a broader range of significance. Let’s now consider how to give meaning to those terms. Another shortcoming in my previous analysis is that my definition of MAC didn’t go far enough. It states that materiality is determined from the perspective of a reasonable person in the buyer’s position. (As such, this definition reflects the standard adopted in IBP v. Tyson Foods.) But what it doesn’t do is explain what material means, and so it doesn’t preclude ambiguity. “Material” and “Materially” refer to a level of significance that would have affected any decision of a reasonable person in the Buyer’s position regarding whether to enter into this agreement or would affect any decision of a reasonable person in the Buyer’s position regarding whether to consummate the transaction contemplated by this agreement. “Material Adverse Change” means any Material adverse change in the business, results of operations, assets, liabilities, or financial condition of the Seller. But here too one faces the question of whose perspective applies. The cautious approach would be to make that clear: Acme’s books and records contain no non-trivial inaccuracies, as determined from the perspective of a reasonable person in the Buyer’s position. In my eagerness to use material only in MAC provisions, I failed to realize that it doesn’t make sense to phrase a materiality carveout to the bringdown condition as a MAC carveout, with the bringdown condition reading as follows: that the representations of Holdings contained in this agreement were accurate as of the date of this agreement and as of the Closing Date, except for any inaccuracy that would not reasonably be expected to result in a MAC. The problem is as follows: Imagine that the seller represents that it has all permits that it requires in order to operate its business, but in fact it’s lacking several important permits. The inaccuracy in that representation could not, as a matter of semantics, result in a MAC. An inaccuracy in a representation is purely a construct of the contract—it might result in the buyer’s being entitled not to close or to bring a claim for damages or indemnification, but it could not directly have an adverse effect on the seller’s business. Instead, it is the fact that the seller has been operating its business without the necessary permits that could conceivably result in a MAC. I’d revise the bringdown condition to read as follows: that individually and in the aggregate, the representations made by the Seller in article 2 were Materially accurate as of the date of this agreement and are Materially accurate as of the Closing Date. 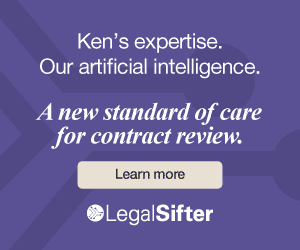 As a general matter, the usages I recommend in MSCD and in my blog fly under the radar—it’s unlikely you’d encounter much resistance to your incorporating them in your contracts. The analysis I offer in this post is different, in that it uses novel language to address issues that haven’t been acknowledged in the literature on materiality. But if novel contract language addresses a flaw in the conventional approach, you should consider using it. And in this case, the flaw—uncertainty over the meaning of material—is a doozy. The alternative to novelty—sticking with current approaches because they’ve been “tested” by the courts—is unpromising. Of course, you could perhaps improve on my language, but that’s a different matter. 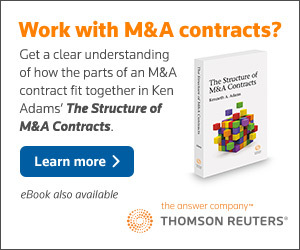 I address the substance of this post at greater length in an article I’m finalizing on the structure of M&A contracts. And the next edition of MSCD will contain an updated discussion of materiality. It’s a little embarrassing to have to correct an analysis that I’ve gone public with not once, not twice, but three times. But that’s more than offset by my excitement at coming to grips with this issue. I expect that I’ll be refining my understanding over the coming months. If you have any comments, send them along.